You’re out shopping when you have to go to the bathroom. You find the nearest public restroom and step inside. There are at least 10 open stalls. It’s quiet. No one else is in the restroom. You pick the cleanest stall and sit down to do your business. Two seconds later another woman enters the public restroom and PICKS THE STALL NEXT TO YOU. Right?! Why oh why couldn’t she leave a buffer zone? Or pick a stall across the aisle? Any one but the one right next to you? -When you go to the movies and it’s mostly empty. So then the only other people who come in pick seats right in front of you. -People who say they “forgot” to eat. -Why anyone gets fruit in their Dairy Queen Blizzard. -Why it takes three remotes to watch anything on Netflix on my TV. -Why the grocery store rearranges the shelves every few months when everything was perfectly arranged before. It’s like they want to mess with people’s heads. -How come I feed the fish and the cat when my children SWORE they would if I just let them get a fish and a cat. 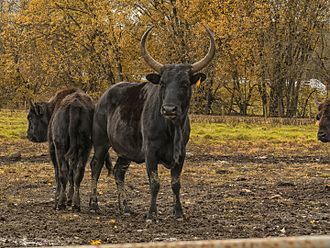 –The Beefalo. Half cow, half bison. Fully freaking me out. There you have it, things I don’t get. What about you? Is there anything that makes you scratch your head in bewilderment? I apologise, I know that’s not what you were expecting when you asked ‘What about you?’ Lol! I hear you. If it’s any consolation, I’ve been blogging for years and am not huge nor do I make a profit. I worked really hard for a couple years, too, taking classes and doing everything “right” on social media before I realized that unless I’m selling something every day (Amazon books, deals on clothes, etc. ), or offering something (printables, coupons, etc. ), that I’m just not going to be huge. Nowadays I try and focus on a “Bloom where I’m planted” philosophy. I get little opportunities here and there that I like, such as products to review, and I’m working more on freelance writing, but mostly I blog because I enjoy the writing aspect and the community aspect. Oh and I am suddenly toying with the idea of starting an email newsletter, because all the experts say that is imperative for growth/success. Well, that’s what they said about Pinterest, Facebook, getting a WordPress blog, etc. , LOL. Haven’t jumped on it yet! we all feel this way sometimes. I’ve found that often the people I enjoy reading the most have the least amount of followers. I’ve been at it three years and know that it can be easy to get down sometimes. Hahah. Thanks for the giggle. If I “forget” to eat, I start to get hangry very quickly! That’s a very good reason why. Meanwhile my brain is always telling me “EAT! EAT!” which is why I’d like to try a day on the opposite end of the spectrum, LOL. That’s why it’s so crazy, right? You just want to watch TV and…ugh, how do I get there and get it going again? I come from a family who often ‘forgets’ to eat…really what happens is we keep ourselves so busy that everything else just feels more important until we’re starved or it’s 10pm. It’s so bad for the body. And the Beefalo…**shudder** Thanks so much for sharing at the #happynowlinkup! I could always eat, which is why I wish I could try livin’ the way where my brain forgets to eat! I’m curious now–maybe this would be a good blog prompt? It would be fun to hear how it’s going in someone else’s house! Glad to hear it doesn’t just happen to me! But why does it happen at all, right? Personal space! Yes, I could see that. I’m the type of person who exercises a little bit and then thinks it’s okay to eat everything. Um, yes, it doesn’t work that way! Sharon Parry recently posted…Spot the Year 6 leavers! Ha ha! It’s not just me, then. I’m supposed to be able to stream music in my car through my phone. Emphasis on “supposed to”! LOL – “I die a little inside every time I try to entertain myself. It’s never simple.” No, it’s not! We better make sure our kids live close by in our old age to help us run things, ha ha ha. I know! Why do they do that? Totally annoys me as well. 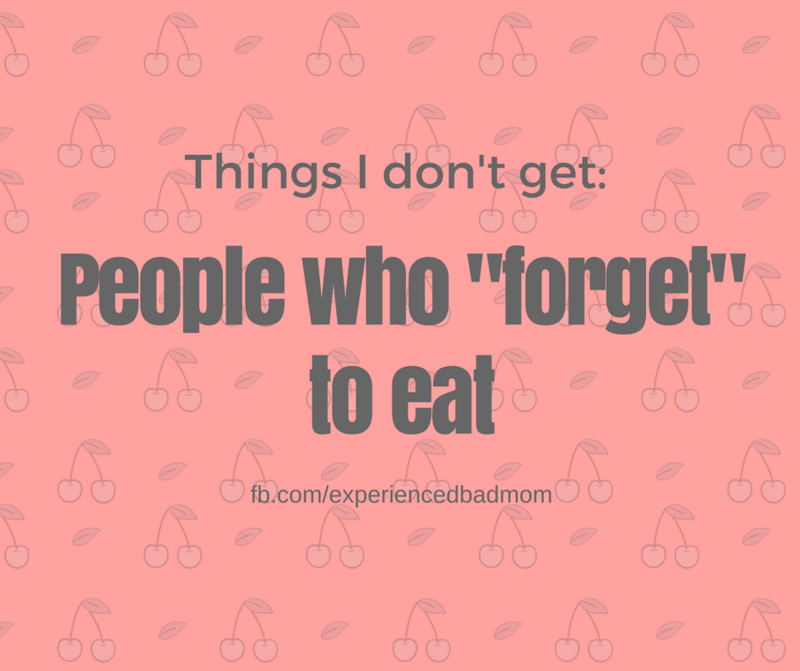 I also hate people who say they forget to eat, it goes completely against what being a human means lol. Thanks for the laugh and sharing with #StayClassyMama! Oh, yes, how could I forget about the close-talkers and the people who dare brush up against me in line?! I don’t get the cinema thing either! I also don’t understand people who post their cold symptoms on Facebook. Like, “I have a runny nose & a scratchy throat. My ears hurt too. So tired.” Seriously???? It’s NOT WebMD!!! You nailed it, Katy! The public restrooms, the movie theater, TV remotes. LOL I don’t get why people stand with their shopping cart in the MIDDLE of the aisle at any given store. You are in my way! Be courteous and move to the side, please. Thanks for sharing on #TrafficJamWeekend. Oh, Kimberly, good one about the grocery store! So true. It’s like a road, people. Stay to the right!